Kaizen Imperial is a renowned business entity engaged in Manufacturing, Supplying and Exporting a quality range of Meteorological Instruments, Hydrological Instruments, Soil Testing Instruments, Laboratory Instruments, Petroleum Testing Instruments & Plant Testing Instrument. Our offerings include Carbon Dioxide Monitor, Digital, Recording Rain Gauge, etc. 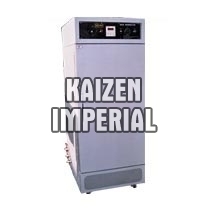 Kaizen Imperial is the well known Manufacturer, Exporter and Supplier of Seed Germinator. Our Seed Germinator offer dependable performance in reforming test on various seed under different conditions. Besides this, we provide our Seed Germinator at the industrial markets leading price.